First, let me say that Sophie Dahl is Roald Dahl’s granddaughter! I can’t tell you how many times I read and reread Matilda as a little girl (maybe the cake force-feeding scene subliminally influenced me in the direction of paleo?) and his short story Beware of the Dog is also one of my favorites. 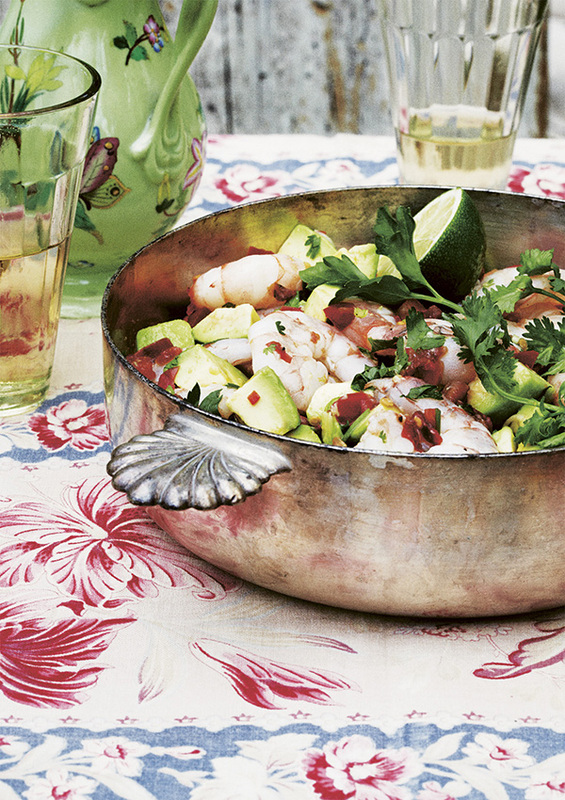 If his granddaughter is half as good an author as he is, we’re in good hands with her cookbook Very Fond of Food, and it certainly looks to be the case with this beautiful ceviche. After some time spent as one of her Instagram groupies, I met Natasha of The Feisty Kitchen last week for lunch at foodie destination/autoimmune-paleo cafe Mission:Heirloom. 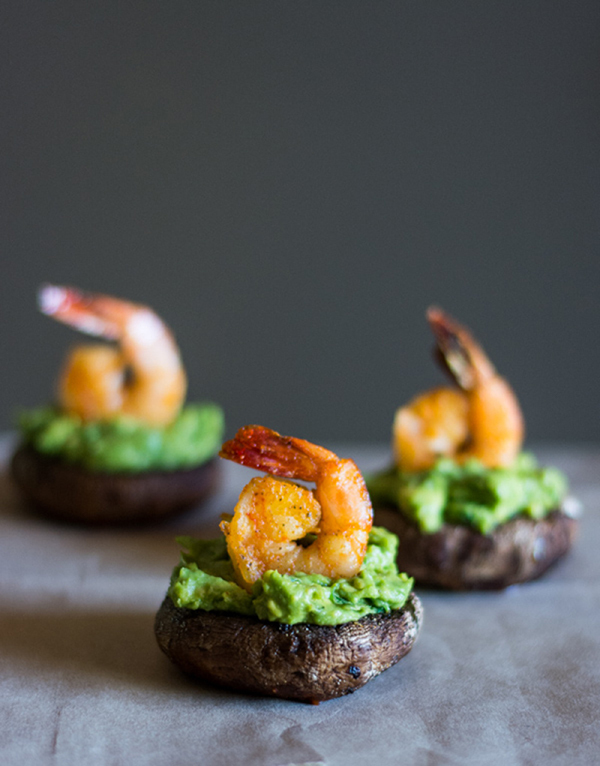 No list of avocado recipes would be complete without these adorable avocado-stuffed mushrooms topped with crowd-pleaser shrimp! I love a hearty, loaded salad (and bacon goes with avocado like peanut butter goes with chocolate). This meal is perfectly balanced with fat, protein and leafy greens all represented on the plate. This would be the type of colorful, texture-rich lunch that doesn’t result in hunger pangs too long before dinner. What’s not to love about three ingredient recipes? Avocados taste so great on their own, the art is in adding just the right ingredient or two to take them to the next level. 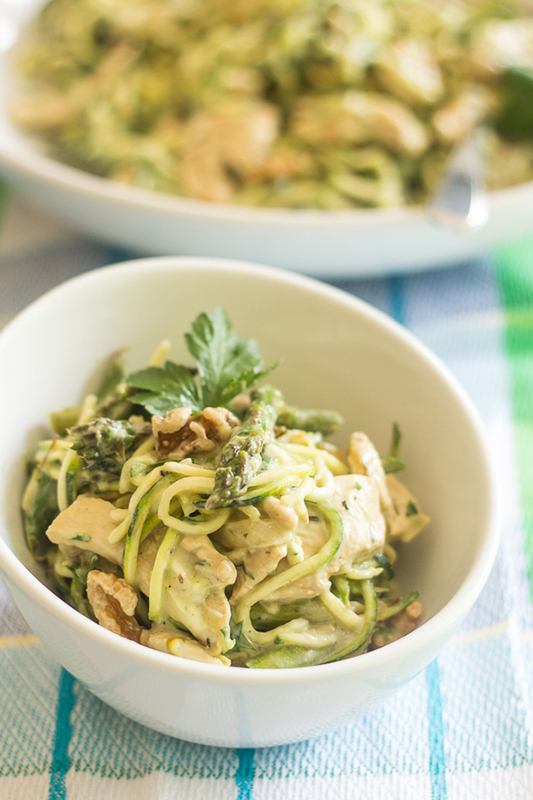 Zucchini noodles are so fun that I had to find a place for them in this list of favorite avocado recipes. Avocado is so naturally creamy that it makes for an ace ingredient in recreating what would traditionally be a cream-based sauce without dairy. Round the dish out with asparagus and chicken, and you’re in delicious business. 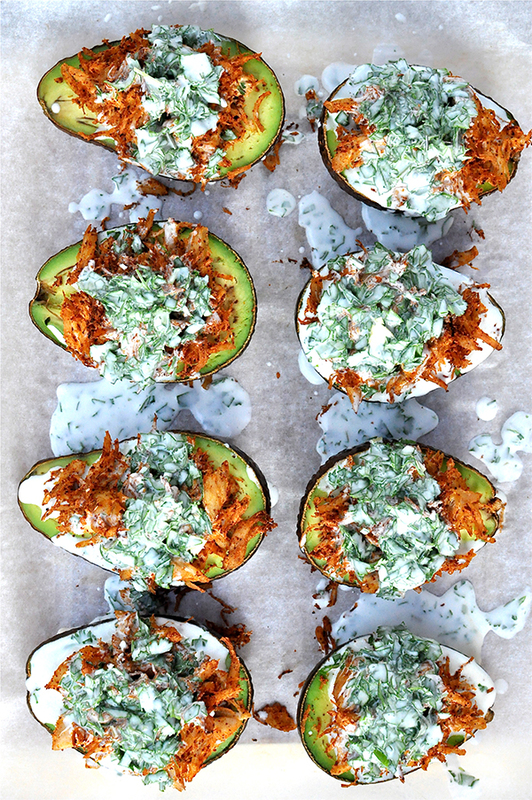 How decadent do these stuffed avocados look? Avocados stuffed with eggs are my favorite, but I’m thinking that may be tied with avocados tied with cumin/paprika-spiced shredded chicken! The cilantro cream sauce is what makes this situation irresistible (I’m a cilantro fiend, sub in parsley if you’re not such a fan). This salad is almost an honorary mention in this list of avocado recipes, because avocado is merely a topping. But! 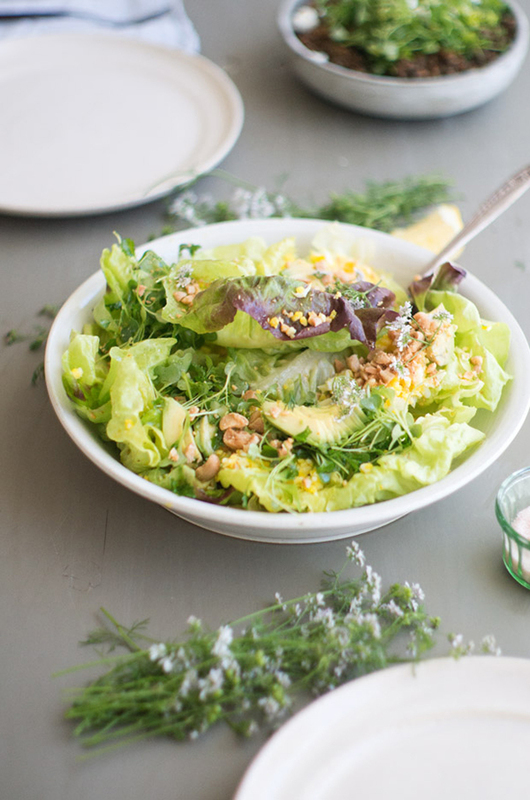 This beautiful (and simple, thank you) spring rendition of a salad from Bay Area blogger Heidi Swanson was too lovely not to include. 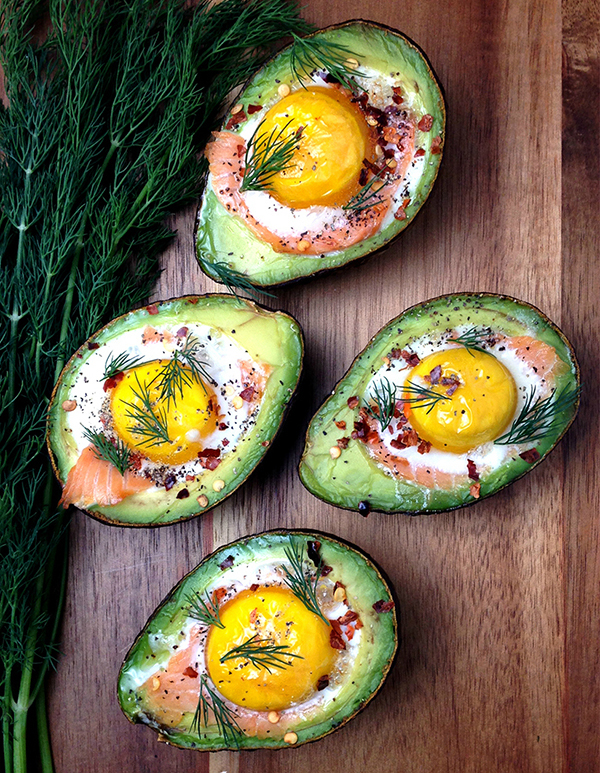 These smoked salmon egg-stuffed avocados are one of my favorite recipes, and since it’s almost my most popular recipe of all time, I’d say other people seem to agree. 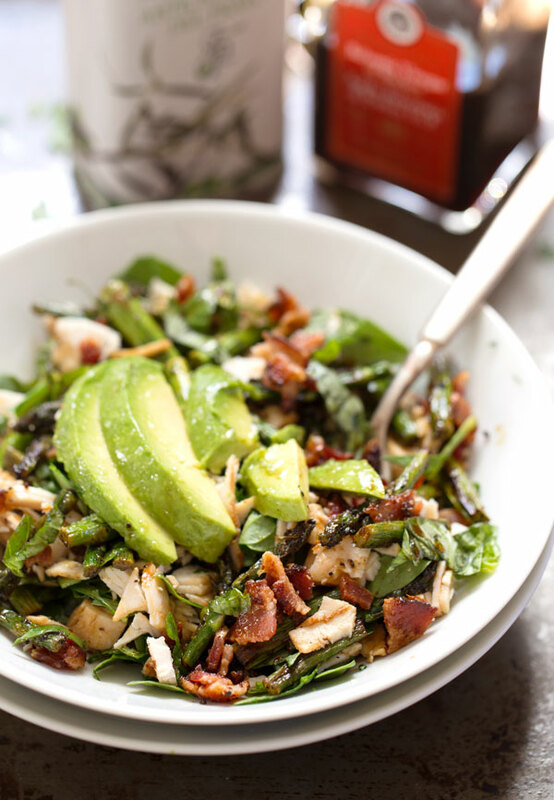 If you’re in the mood for something delicious with a load of healthy omega-3, give this recipe a whirl. Topped with dill, the flavor of each ingredient wonderfully complements the flavors of the others. Eggs Benedict is already an amazing breakfast, and it only gets better with the addition of avocado sauce. 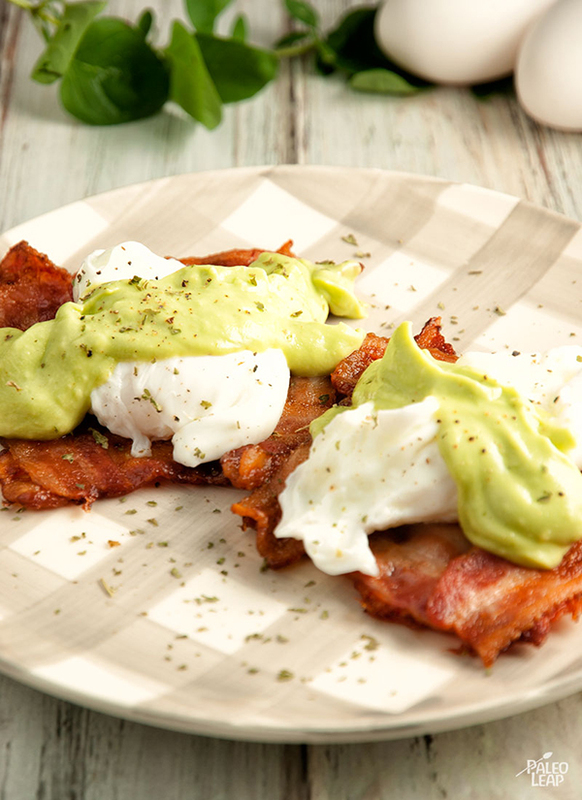 Avocado, lemon juice, garlic and olive oil all work together to make an incredibly flavorful topping for savory bacon and creamy, delicately-poached eggs. This Chocolate Coconut and Lime Pie looks almost too good to be true, because chocolate and coconut are a dynamic duo of antioxidants and healthy fats, then add lime and avocado for fireworks in your mouth (in a good way). I need to save making this for a special occasion when I won’t feel too guilty face-planting into it, because holy delicious! 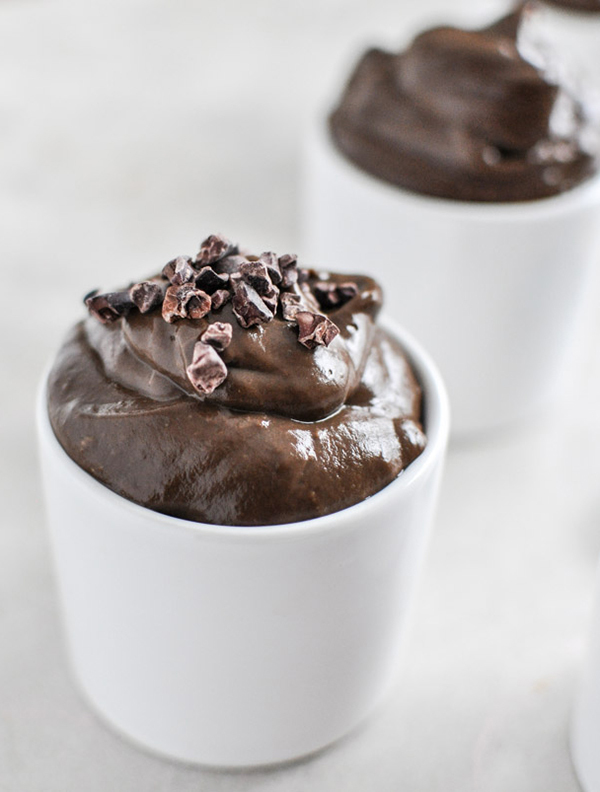 If you’re ready for a very chocolate-y version of avocado pudding, look no further than How Sweet Eats’ chocolate avocado pudding. 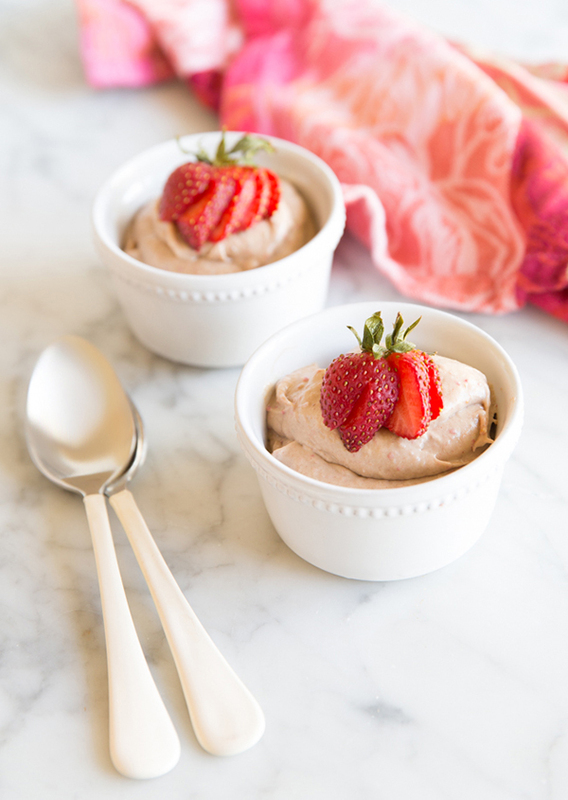 I’m putting this on the list of super easy, healthy, no-fuss options for dessert whenever I need to make one next. You may not have previously thought to include avocado in your pudding, but I find it adds a fantastic creamy smoothness. 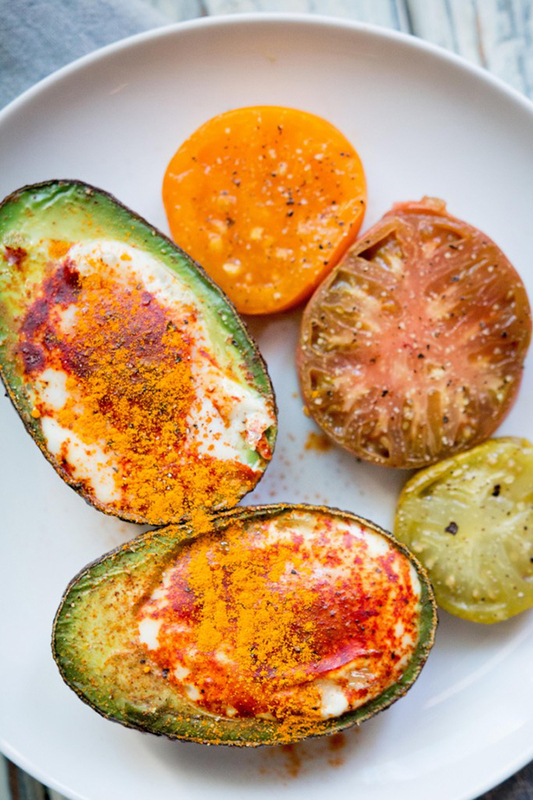 I can seriously not pick a favorite here, but if you forced me I might say the Moroccan Eggs in Avocado! Yum! Haha, yeah Anthony did good. Avocado is one of my fave foods, too. They are so nutritious and delicious! Thanks for the recipes! I’m bookmarking this page so I can try the creamy avocado pasta and the 3-ingredient Moroccan egg. I’m also curious about the chocolate pudding as a friend of mine makes something similar for her kids. I was going to list which recipes I wanted to try, but I want to try them all! I love avocado. 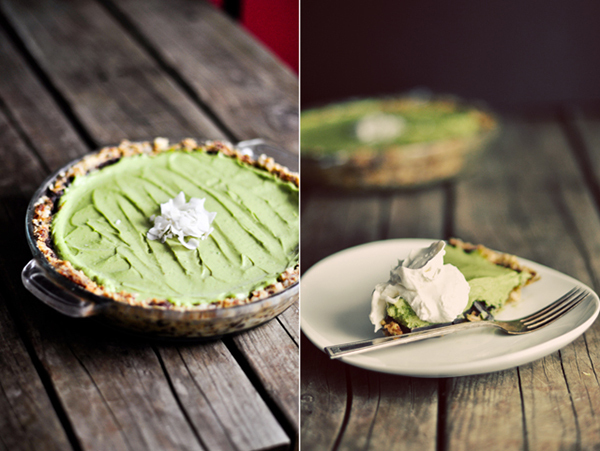 And, man, that avocado pasta and that pie…those look legit. Yep, Guilty Kitchen especially can really make me want to lick my screen! I love avocado. And ceviche. And chocolate mousse. And eggs and avocado…. Great post!